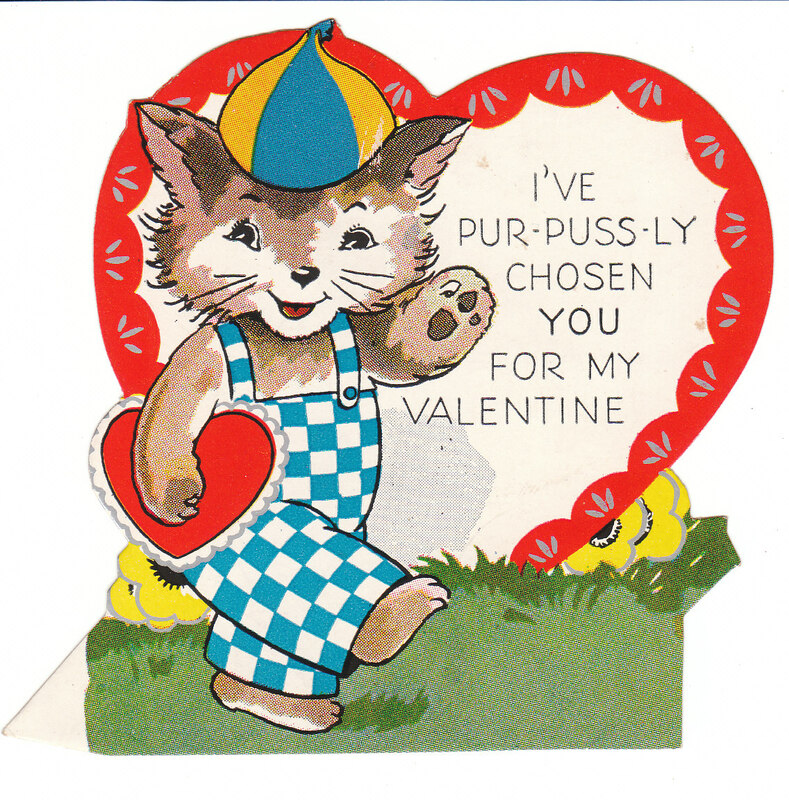 Dressed animal Valentines feature cute animals (usually cats, dogs, or bears) dressed in clothes. They are so nostalgic and sweet, and are a unique collecting category -- also of interest to cat collectors, dog collectors, etc. 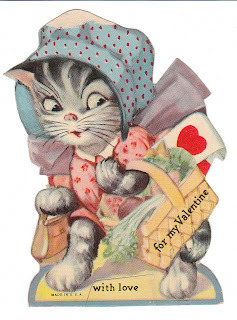 These little dressed cat Valentines are way too sweet not to share! The first card pictured (cat in blue bonnet) is 1920's vintage. 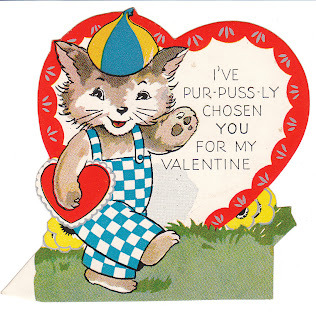 The second card (cat in beanie cap and checked overalls) is 1930's - 1940's vintage. The colors in the second card are a giveaway to dating the card, as the vivid primary colors are indicative of cards from that time period. Here's a link to dressed animal cards in my store -- lots of photos there!